When I was a young and very naïve 20-year-old who thought she had it all figured out (spoiler alert: I did not) I accessorized like no other. 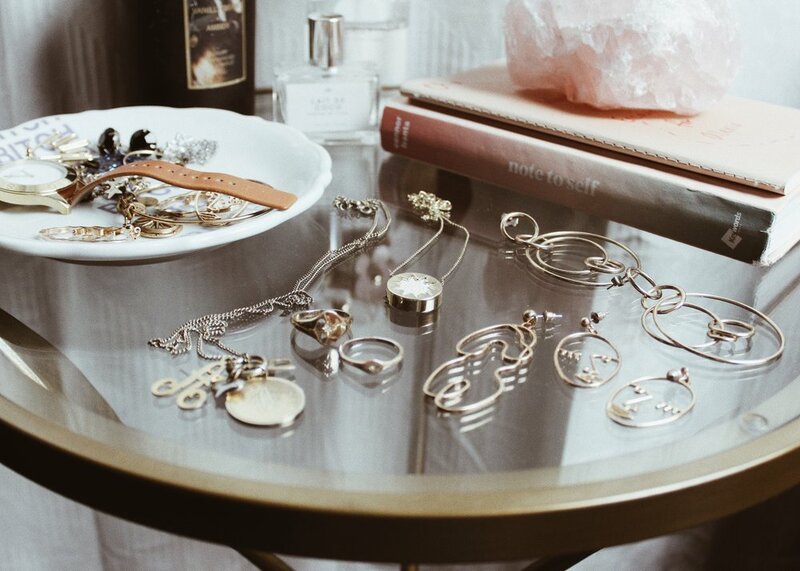 We're talking stacks on stacks of bracelets. I did not dare leave the house without a pair of earrings on. I wore big chunky rings on each hand and necklaces that made such a statement that one time during class a professor stopped their lecture just to ask me about my necklace. That is a true story, my friends. Though truthfully, I was slightly irritated by this. Then suddenly one day, I stopped and left behind all of my jewelry. Why? I have no idea, but recently I've been making more of an effort to accessorize again like I did when I was 20 except this time without being naïve and arrogant. These days when it comes to jewelry, I like to keep it minimal and very rarely, if ever, do I wear anything other than gold. My favorite earrings that go with just about anything are these Halogen Multi-Hoop Drop Earrings during Nordstrom's Anniversary Sale last year. More recently, however, I have been wearing these amazing face and body shaped earrings that I found on Amazon that I wore in my previous outfit post. I also wear at least two out of the three rings from this 3-Stack Ring Set with Mini Stones from Lane Bryant. For necklaces, I have been wearing my House of Harlow 1960 Sunburst Pendant Necklace that was gifted to me for one of my birthdays and my initial 'A' necklace that I bought years ago at Urban Outfitters.